Disney has its fingers in a lot of pies. 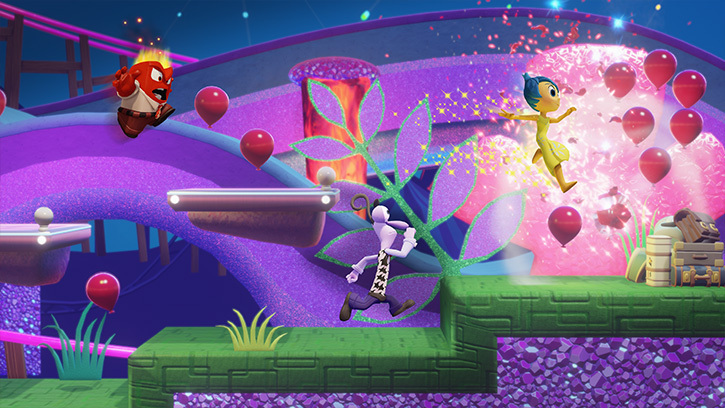 If it wasn’t already obvious then just looking at the three Disney Infinity releases proves this. First we had the mix of Pixar, Disney animation and Pirates of the Caribbean in one set, then came Marvel’s line of Super Heroes with a side helping of Brave and Stitch and now we have the all conquering Star Wars franchise, just as the world reaches fever pitch for the new movie. This latest release might seem like an easy cash-in for those looking for some instant Jedi action while they wait for The Force Awakens but the development team have really taken this one to heart and come up with a cracking campaign as well as a few new ideas for the Toy Box. Infinity’s campaigns so far have been fairly repetitive, even if they were fun, but Twilight of the Republic, the Star Wars themed playset featured in 3.0, feels like a full blown game with decent combat and a good story. You get two characters to start you off in the box; Anakin and Ahsoka from the Clone Wars animated series, and they’re both fun to play with. You’ll get to use lightsabers with both characters, Ahsoka even has dual sabers that she hold behind her, and force powers for ranged attacks. 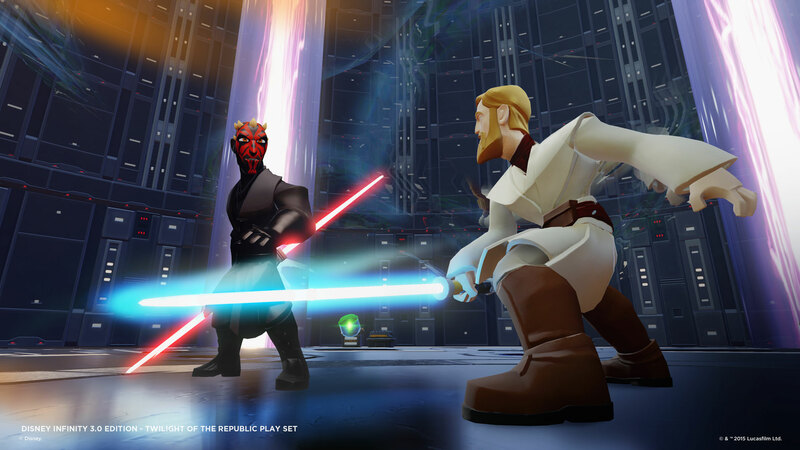 New playable characters can be added buy buying new figures; Yoda and Obi Wan from the Clone Wars, plus the characters from the new Star Wars Rebels series, all of which add different abilities to the game. Of course, the playset is only half the game in Infinity and the Toy Box has been boosted in the latest version with an emphasis on different genres. Fancy racing a car as Aladdin against Iron Man? Or running around a theme park with Elsa from Frozen? It’s all possible here. You can use figures and even playsets from the previous games to unlock scenery and new playable characters, with more planned in October. There is even the Toybox Takeover piece, available in some pre-orders now or to buy separately from October, which adds a story mode that any of the characters can take part in, allowing team-ups between the franchises in a playset-like adventure. The game doesn’t always cope perfectly with user built levels, especially those set in space where artificial walls are rather exposed but Infinity 3.0 comes closer than any set so far in allowing you to create your dream game levels (as long as they involve Disney, Marvel or Star Wars). The wealth of pre-created games and the growing user content, even this soon after launch, shows that there are a lot of people who feel the same way and even if you do find creating your own levels too difficult, there are plenty of others to choose from. 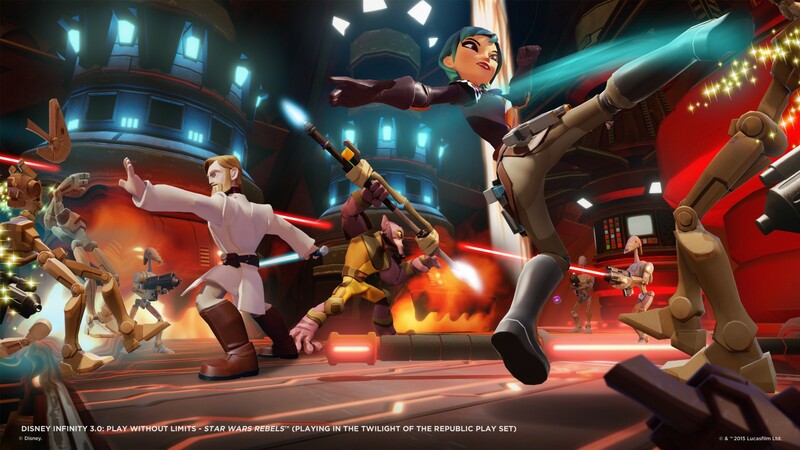 While it may seem like another cash cow game/toy franchise, Disney Infinity 3.0 stands up pretty well as a game in its own right and the addition of a good Star Wars adventure with an original trilogy-based playset coming up is too good to pass up. New Sims FreePlay Update adds more shopping fun!